Introducing our oh so beautiful bride, Stephanie! Stephanie chose a super gorgeous Essense of Australia gown for her May wedding! With it’s illusion bodice and gorgeous bead work, she looked absolutely stunning on her big day! For her flowers, Stephanie worked with Lake Effect Florals Design Studio, who never disappoints! 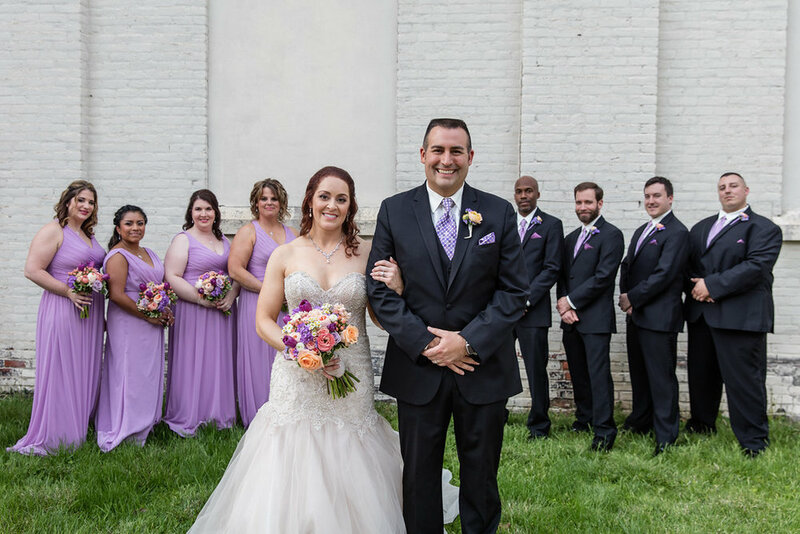 Her bouquets and arrangements were perfect for her spring wedding! Stephanie and her new hubby Dan had their big day at the Allure in La Porte. They were married in the venue’s beautiful ceremony room, which was decorated with lots of flowers for the occasion. During the ceremony, Stephanie and Dan planted a flower and watered it to symbolize their love. We think this idea is so cute! The wonderful thing about the Allure is that everything is in one building! The reception space is already gorgeous, but throw in the newlywed’s beautiful decor and it was a knock out! Stephanie and Dan made sure their guests satisfied their sweet tooth with wedding cake, a donut wall plus cupcakes! Ok, we’ve seen the wedding. Let’s get to know the couple! What was Stephanie’s favorite part of planning her wedding? What about her least favorite part? Fast forward to the wedding day! What was Stephanie’s favorite moment? Now that it’s all said and done, what’s her biggest takeaway from the whole planning process? Any final advice for our brides?? 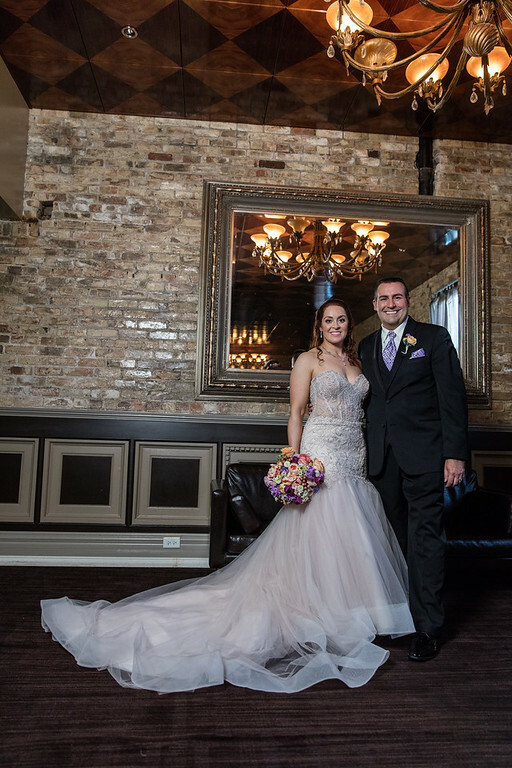 Congratulations, Stephanie and Dan!! We are so happy for you guys and can’t thank you enough for letting us share your special day! 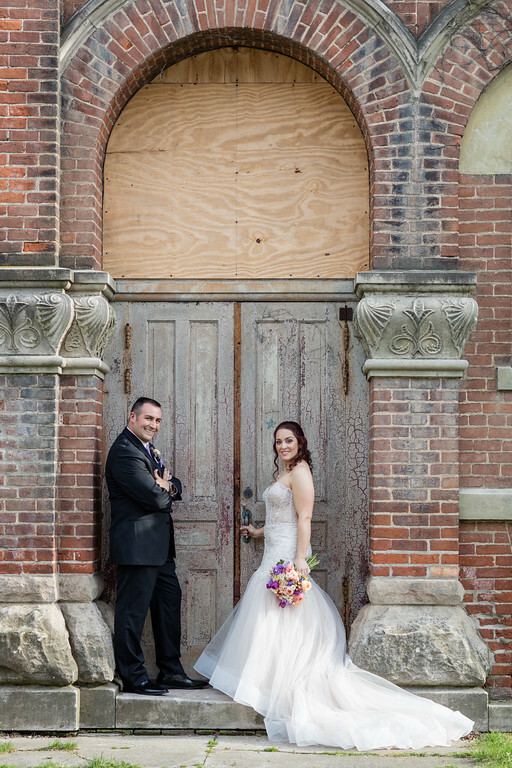 Check out more pictures from their beautiful wedding in the gallery below!